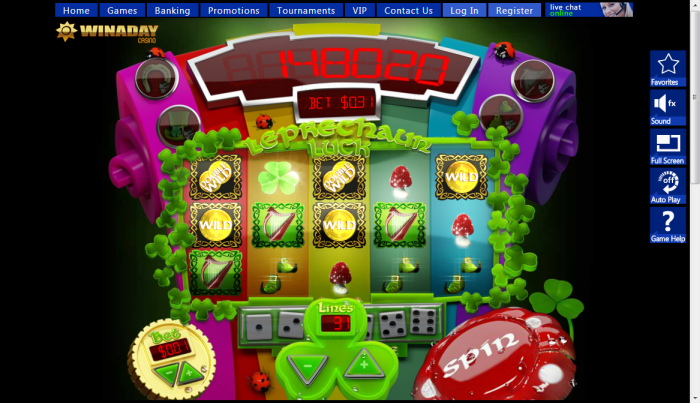 Overview: Leprechaun Luck is an online slot game that is based on an Irish theme, with graphics reminiscent of St. Patrick's Day. 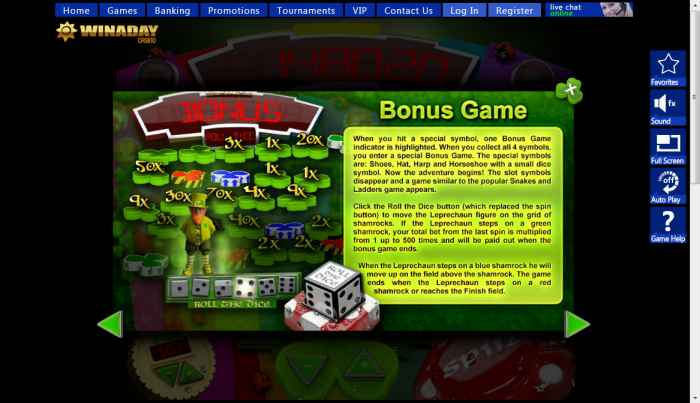 It is a progressive, 5-reel 31 payline line game that has a maximum payout of more than $50,000 through its progressive jackpot. 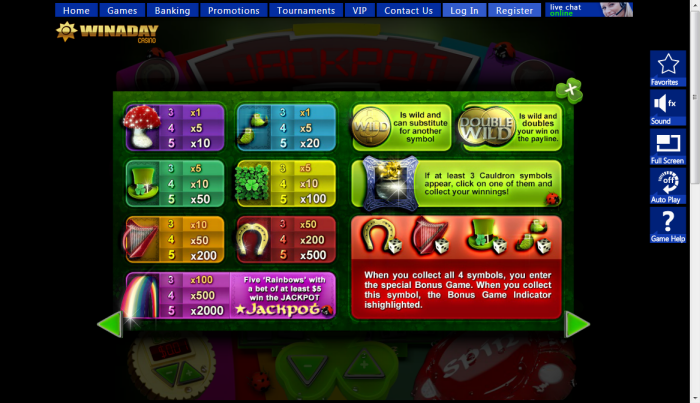 It has two bonus rounds and special wild symbols that unlock free spins. The Single Coin is the wild symbol, which replaces any symbol other than the Cauldron and the bonus symbols. The pick your bonus is activated by 3 or more Cauldron icons. Choose one icon to activate an immediate bonus. The bonus round is activated once the harp, shoe, hat, and horseshoe icons have been collected. If you have collected all the special icons, then you get another bonus game, which looks like a snakes-and-ladders game. You have to roll a dice and move across a board that is full of red spaces and bonus multipliers. If you land on a red shamrock before reaching the end of the board, the game ends. 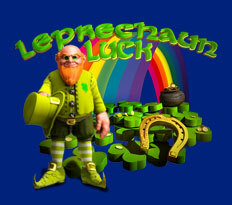 Similar Slots: If you like Leprechaun Luck, you might like these other slot machines from Win A Day Casino: Aztec Adventure, Dollar Storm, Haunted, Safari Park, Slot-O-Matic, Wheeler Dealer.